during the 2008 AT&T National Pro-Am coverage on CBS. 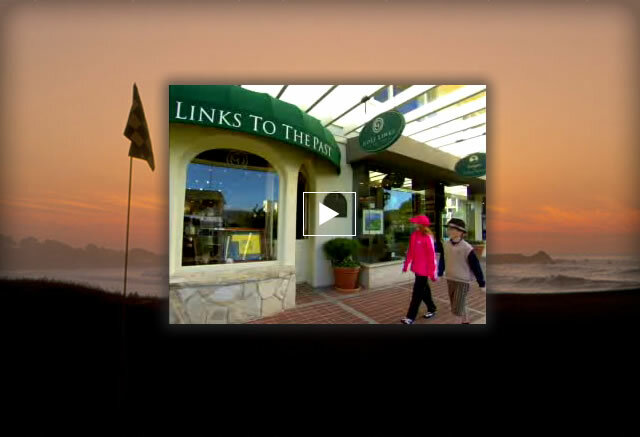 Golf Links to the Past is a shop at The Lodge in Pebble Beach. Surrounded by the aura of the legendary Pebble Beach Golf Links, our store presents the finest golf collectibles and gifts, historic golf art and antiques found anywhere in the world. As an official Pebble Beach licensee, we offer a unique collection specifically related to Pebble Beach, including our exclusive collection of sterling silver and fine leather items with the famous Pebble Beach heritage logo.